This page is incomplete, because it needs more original content. Please help to improve it, or discuss the issue by clicking the Discuss button at the bottom of this page. 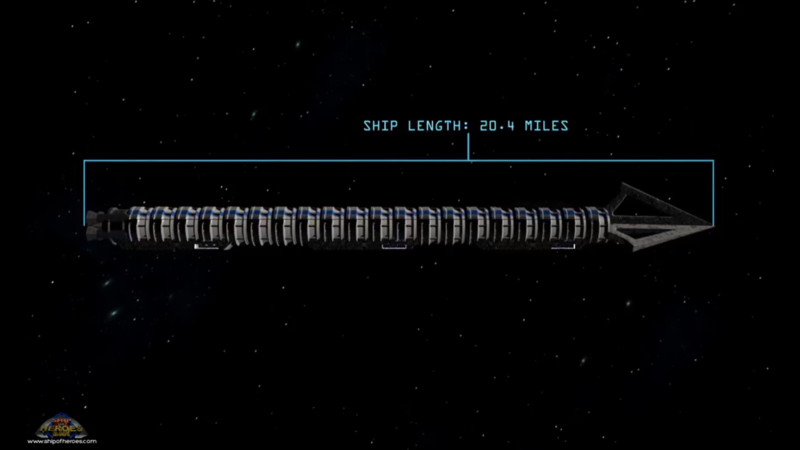 The FHS Justice is one of several enormous, spacefaring colony ships called Heroships. It is the primary setting for the Ship of Heroes game. The other two Heroships known to exist are the FHS Liberty and the FHS Freedom, though these may have different designs and sizes. Each of these three Heroships is home to tens of millions of inhabitants. 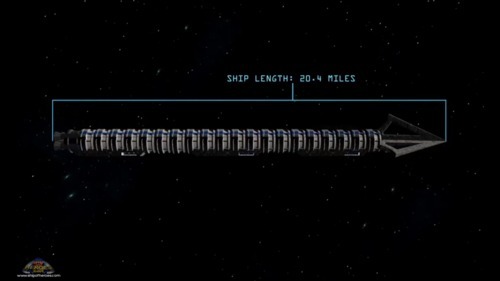 The FHS Justice contains 20 cylindrical levels, each the size of a city, and it is possible to add even more levels to the ship, if required. However, only Apotheosis City has been shown at this point. There are three huge loading/docking bays on the underside of the Justice. 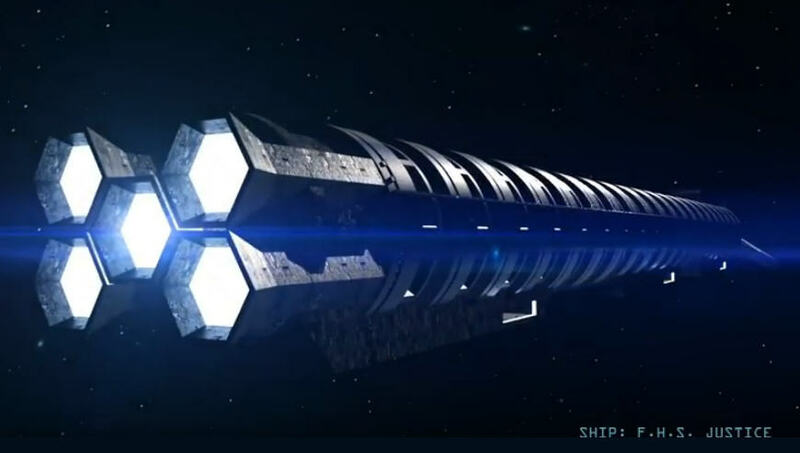 Heroships, so-called because of the superpower-inducing side-effects of their Unobtanium powered engines, are large interstellar generation ships designed to accommodate millions of people and their descendents in a largely self-sufficient environment while traversing the galaxy. Old Earth is a something of a faded memory, along with the tribal dividing lines of five centuries past. The Heroship FHS Justice was launched just over 200 years ago under the desire to explore and advance human civilization through space. Aboard the FHS Justice, and generally across the Human Federation, all humans are united in culture and outlook, focused by the ever present need to defend against attacks from truly different species. Species that see humans the same way a lion sees a deer. But human heroes shield us from our attackers, protecting the larger civilization from internal and external threats. At least – for now. The citizens of the FHS Justice number in the tens of millions and are self-governing. The ship is a nation in flight, and is also willingly bound by treaties and by custom to assist the Human Federation, as are the other Heroships. Artificial gravity and advanced technology combine to keep the living spaces for much of the ship’s interior idyllic, except in places where a conscious decision has been made to allow a different outcome. However, during the first few decades of the ship’s travels, the crew and citizens accidentally allowed various invasive plants and animals from other worlds to become established aboard the ship. Some of these have proven to be impossible to completely eradicate, although efforts are ongoing. The lowest level, next to Engineering, is called Apotheosis City and has a hazard zone of dangerous invasive life forms on its the southern edge. Some of these have been mutated by exposure to Unobtanium. One level of the ship has been given over almost entirely to a melange of dangerous and exotic lifeforms culled from around the galaxy. This is the Harvest Pit, and it provides an opportunity for heroes, traders and the bold to enter and recover the rare and valuable byproducts of the dangerous life forms that have gone native on this level. The materials harvested from this level are sometimes used inside the ship, but are also key in the ships external balance of trade. Other levels specialize in manufacturing, in agriculture, or support high density living for those who prefer it. The ship itself has a designed lifespan of over 50,000 years and so it is virtually new and will have many years before it ceases to travel through space. At launch the ship had eight modules, each of which provided a unique ship level for its inhabitants. 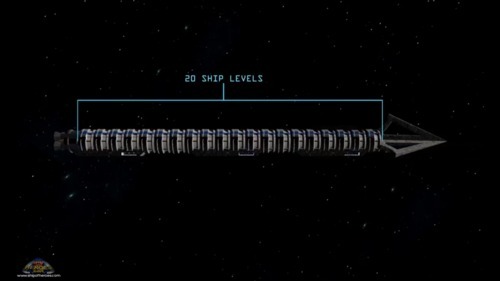 Since then Justice has been expanded to twenty, in addition to the Engineering level next to the engines, and the Command level at the forward end of the ship. 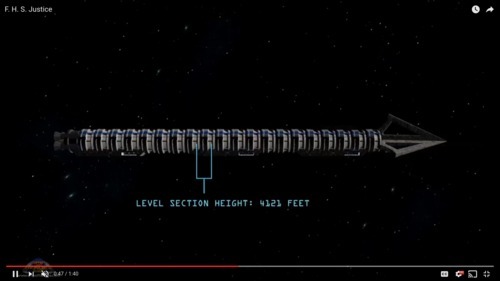 There are large armored docking bays on the lower side to allow for easy transportation of people and goods planetside, and multiple energy and missile turrets down the length of the ship. The hull is heavy armor and the ship is also shielded against attack. 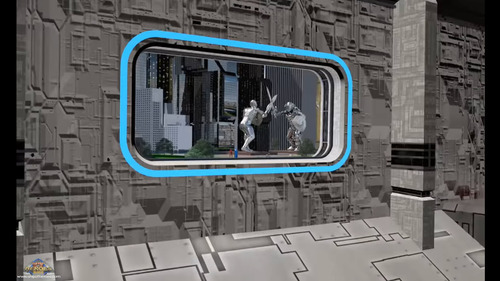 So strong are the shields on the FHS Justice that the only effective attack aliens can do against the ship is to try and blast a tiny, temporary hole in the shields and conduct quick raiding parties – parties which are resisted by heroes.